The book module is not interactive. You can, however, link to choices, forums etc., from within a book. Also, Flash movies and other multimedia may be included in a book. 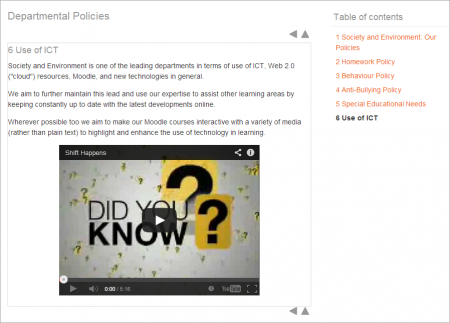 Read more about the book module in the official Moodle documentation.